Glenda has been a long time client of Vogt Visuals. Provided basic updates on an outdated site. I've worked with her daughter and created a new site. 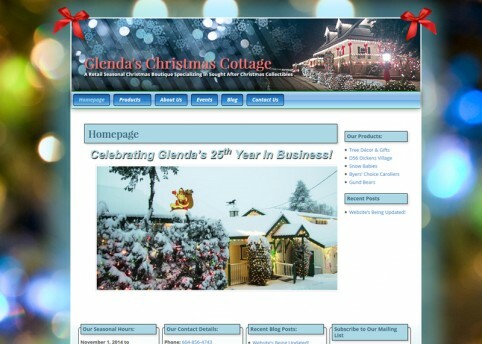 Glenda's Christmas cottage is a landmark in Abbotsford and I was glad to help!